Canggu is now the target of the developer accommodation. Because Canggu has grown to become a new tourist destination destinations. Because tourists have been saturated with the condition of Kuta and Seminyak are increasingly dense and full of social problems. Canggu is a village in Badung. Canggu became famous because it has a very beautiful beach and great for surfing. Canggu Beach is also very unique with paddy fields belonging to local residents. But this time threatened the existence of Canggu damaged due to the development and growth of accommodation facilities. Will be built a lot of new hotels and villas in Canggu area. The hotel will be built using rice field area. Not only that, villas, restaurants, discotheques and other tourism facilities also needs to be built in Canggu. Each year, the number of tourist visits to Canggu continues to increase. It can be seen from the number of tourists passing by on the road to Canggu Beach. The road to the beach is also increasingly crowded by vehicles. Although the majority are tourists who carry surfboards, but they will be tourists pioneer for the development of a new tourist destination. Foreign tourists have been saturated with the conditions we are increasingly dense and crowded. Traffic congestion along the road. The hotel building as a shop adjacent to each other. Shops and restaurants that are close together. Kuta be a shanty town with a variety of social problems that are very complicated. 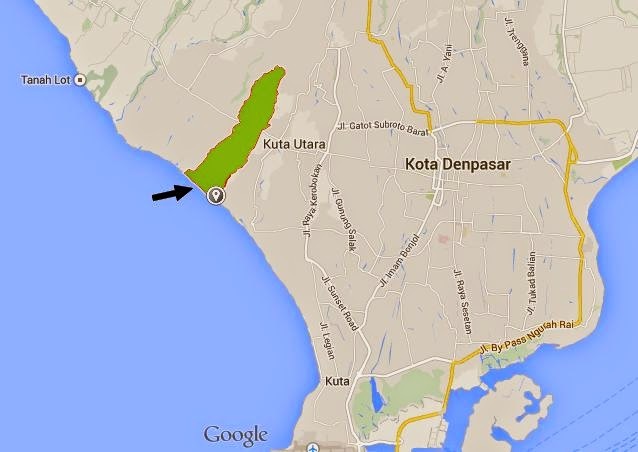 Crime, drug trafficking, prostitution, until the act of murder is becoming more frequent in Kuta. Beginning, which is saturated with tourists choose Seminyak Kuta condition as a place for vacation and relax. However, since the number of tourists visiting the more Seminyak, Seminyak is also the same region as Kuta. Hotal and villas are also more and more. Previously, foreign tourists only know Kuta as nightlife destination for fun, now has become such Seminyak Kuta, with nightclubs very much and increasingly noisy here and there. Canggu will spread like Kuta and Seminyak. Since Canggu became known traveler, this village began to be the target of investors to build hotels and villas. Supervision and control of the government is indispensable. If not then it will be the city Canggu without a clear planning. Impression of shabby and disorganized partner becomes the image of Bali as a tourist destination cheap by poor tourists who do not have money.